Lunch and dinner available on request. 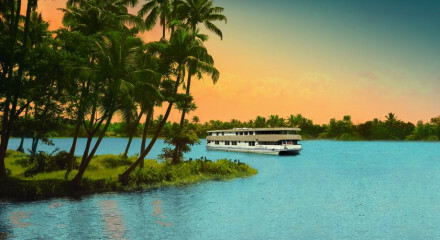 A boat trip along Kerala's backwaters is superb. Pop in to the kitchen and get a lesson on Indian spices from the chef. The Kumarakom Bird Sanctuary has a variety of local and migratory birds. 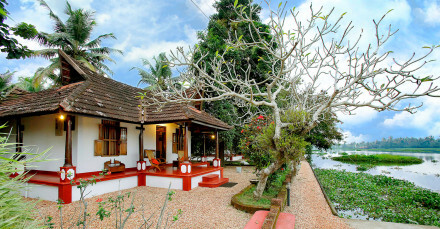 The Ayurvedic spa has a selection of detox programmes for true wellbeing. There are bikes for guests to use. The ultimate in chic, boutique living. The spa has a selection of 1-7 day detox treatments for body and mind.